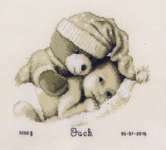 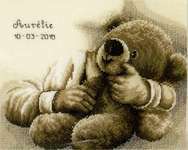 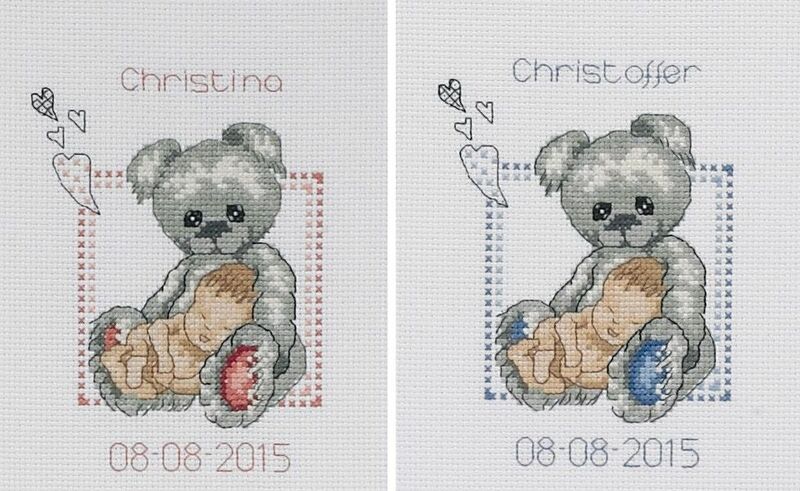 A sweet birth sampler of a baby asleep with a big teddy bear. 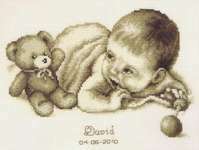 The kit has a large scale black and white chart printed 10 stitches to 3 centimetres on an A3 sheet with key and letter and number set to pesonalise with baby's name and date of birth. 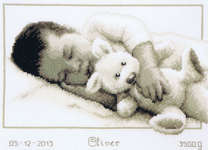 The pattern is worked in whole cross stitch and backstitch using 13 shades of stranded cottons over 70 by 80 stitches.